Did Apple Rip Off This Student’s Rejected Wireless Syncing App For iPhone From Cydia? A feature that many iOS users wished for (and finally had their wishes heard on Monday) was wireless sync, which was introduced at last in iOS 5, on Monday. It has now surfaced that Apple essentially ripped off the idea from a UK-based University graduate, who released a similar app on Cydia last year. Wi-Fi Sync allows users to locate iTunes libraries on the same network connection, connect to them and have content synced over the air, without the need for a cable. Obviously I was fairly shocked, […] I’d been selling my app with that name and icon for at least a year. Apple knew that, as I’d submitted it to them, so it was surprising to see that. 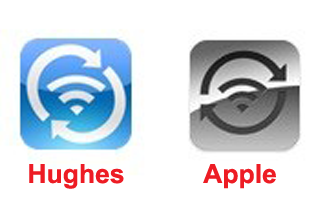 Hughes’ unofficial Sync tool made its way to Cydia in May of last year, after being rejected by Apple. The $9.99-App has sold as many as 50,000 copies over the last 13 months, which probably gave the University grad too much money for him to even care about the fate of his wireless syncing app, which won’t have that much value in a few months, once iOS 5 comes out. It’s no secret that Apple has taken features, and even developers, from the jailbreak community. Just weeks before iOS 5 was unveiled, we reported exclusively that Peter Hajas, developer of the MobileNotifier tweak for iOS, had been hired as a software developer at Apple. 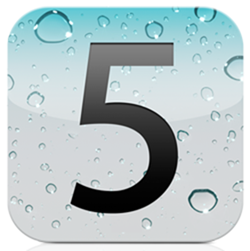 Weeks later, it was revealed that iOS 5 would have a "brand-new" notification system, that actually looked mostly like MobileNotifier, which jailbroken iOS users had been able to enjoy for months. iOS 5, which was announced earlier this week, includes several new features, such as system-wide Twitter integration, Mail improvements and an improved Camera App. Currently in beta stage, it’s expected to be fully completed in the fall.